Elegant Decor is prominent manufacturer and supplier of window blinds for office and home, interior decoration products, designer window treatment products, awnings, sun control & decorative films and floorings. For window treatment and window coverings we manufacture window blinds, shades and curtains includes Roller Blinds, roller shades, Vertical Blinds, Venetian blinds, Aluminium venetian blinds, wooden blinds, Bamboo Blinds, Roman Blinds, Zebra Blinds, woven wood blinds, Triple Shade Blinds, Wooden venetian blinds, Panel Track Blinds, Fabric Blinds, Curtain Rods, Curtain tracks, hospital curtain track blinds, Motorized blinds and many more with high quality and at cheapest price with international quality standards and interest. We ensure that our products are not only well designed but also successfully installed offering high performance standards at free of cost. We offer variants in roller blinds includes Blackout Roller Blinds, Jute Roller Blinds, Translucent Roller Blinds, Printed Roller Blinds in huge variety of colour and textures. 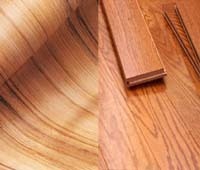 In Flooring option we offer pvc vinyl flooring, vinyl tiles, vinyl plank flooring, vinyl sheet flooring, wooden flooring, laminate flooring, hardwood flooring and wooden interlocking tile flooring. 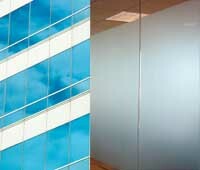 For glass window treatment also offer window films from suncontrol film to window decorative frosted film. We also offer window glass films includes Sun control films, reflective films, one way films, decorative window films, frosted glass films. Elegant Decor is one of the trusted name in interior decoration so just rely on us. The materials used in production of our collection is more reliable. These are reckoned for their modifiable designs, durability, resistance to adverse climatic conditions, water resistance and perfect finish. Window blinds are used for window covering & window treatment. window blinds not only add appealing & pleasant but also add comfort to home, window blinds are the modern style for window decoration. 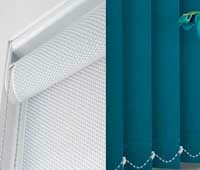 We offer wide range of window blinds in huge color & textures. Elegant Decor offer wide variety of flooring option in different color and patterns in pvc vinyl flooring and in wooden flooring. Flooring add beauty, modern style to surface. Flooring are highly durable and easy to maintain. Elegant Decor offer wide range of glass films in huge color & shades in decorative films and in suncontrol films. Decorative film are used for conference rooms, residential Settings, offices, glass partitions, and wherever there is a need for decorative privacy.